This documentary is guaranteed to make you smile or your money back! In this time of a tough economy, it’s inspiring to see the next generation of entrepreneurs starting to emerge from the shadows. 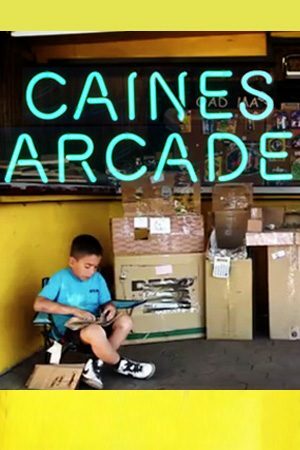 Caine’s Arcade is the true story of Cain Monroy, a 9 year old boy who has built his own arcade out of cardboard. Caine Monroy lives in a working class area of Los Angeles. His father has a used auto parts store. It’s not the safest area of LA and the auto parts store does most of its business online. In 2011, Caine spent his summer days in his dad”s store. At first, he busied himself by helping with the inventory. Soon, he started using the empty boxes to build an arcade game. After awhile, his arcade took up most of the lobby. Caine made himself a shirt, worked out a system for keeping track of tickets, and continued to build his arcade. He devised a crane. He devised a point system and prizes to be won. The only problem? Nobody really came to the store. Finally, Caine got his first customer. It would change his summer plans forever. “We posted the film with an initial goal of raising a $25,000 scholarship fund for Caine to help with his education. The first day the film was posted, over $60,000 was raised. A week later, we received a matching dollar-for-dollar seed funding grant of $250,000 from the Goldhirsh Foundation to help start the Caine’s Arcade Foundation to help more innovative kids. If you would like to help, visit this link today. This film tells the amazing story of a horse from a small countryside racetrack few people had ever heard about. The horse wore a pink Hello Kitty mask and lost a hundred races, but in 2003 she became a glimmer of hope for losers everywhere.